Act now! Special offer ends March 17, 2017. 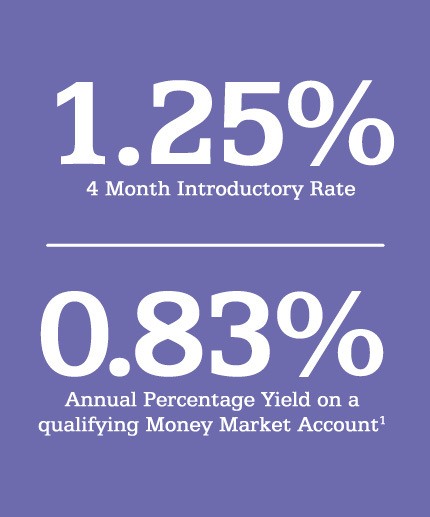 Open a new qualifying Money Market account at a 4 month introductory rate of 1.25% with a 0.83% APY on a $10,000 minimum deposit. 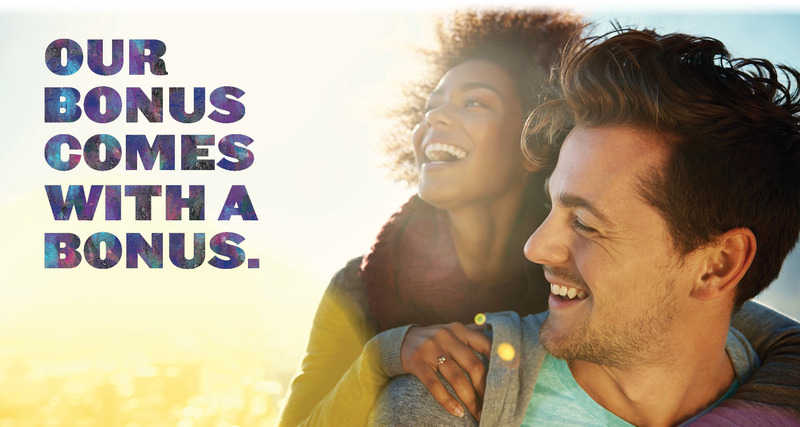 1.This offer is valid for consumer money market households only that have not had an active money market account with any affiliate of Fulton Financial Corporation within the last 12 months. Individual Retirement Accounts (IRAs) are not eligible. Fulton Financial Corporation employees and immediate family members sharing a household are not eligible for this offer. All money deposited into this account must be new money to the bank. Promotional rate is based on a minimum deposit of $10,000. A household can have up to $999,999.99 in promotional money market balances. Account must be opened between February 1, 2017 and March 17, 2017. Annual Percentage Yield (APY) is accurate as of February 1, 2017. Promotional rate is valid through July 17, 2017. As of February 1, 2017, the promotional rate may be stepped down after July 17, 2017, at the bank’s discretion as follows: 1.00% for 2 months, then 0.75% for 2 months, then 0.50% for 2 months, and 0.25% for 2 months, which produce a blended rate of 0.83% APY. If account balance falls below $10,000, account will earn a rate of 0.00%. If at any time the account balance is $1,000,000 or more, the entire account balance will earn an APY of 0.15%. All rates are variable and may be changed at any time. However, account balances between $10,000 and $999,999.99 are guaranteed to earn 1.25% for 4 months. Fees may reduce earnings.